The Andrew Simpson Foundation (ASF) and Bart’s Bash team is back at the RYA Suzuki Dinghy Show for a third year and with a fabulous line-up of fun activities and some important messages as they continue flying the flag and fundraising in memory of Andrew ‘Bart’ Simpson. In addition to some of the fun interaction planned for Show visitors e.g. the Treasure Hunt, giving you the change to have a giggle with a camera and a photo bomb frame, and launching a fantastic Cowes Week Experience Day Prize Draw, the Foundation is also reminding visitors why it was set up and what incredible work and opportunities – and results – it is now delivering. Up to and including 2017 to date, there have been 45 individual projects delivered and grants pledged, totalling £736,000 across 12 countries including 200 fully subsidised places available on volunteer courses over two years. The Foundation is also creating a useful ‘shopping list’ that will clearly illustrate what a specific amount of money donated actually pays for. 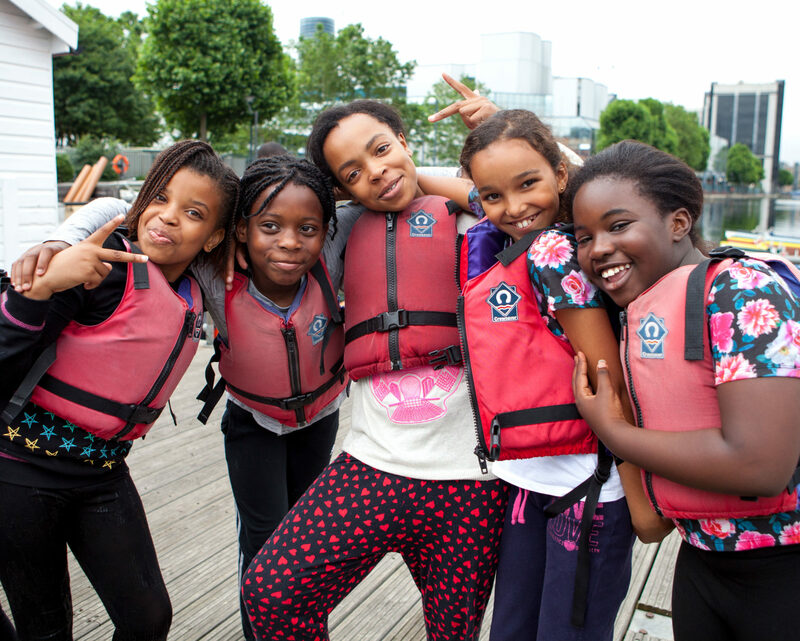 2017’s FUNdraising activities start here! 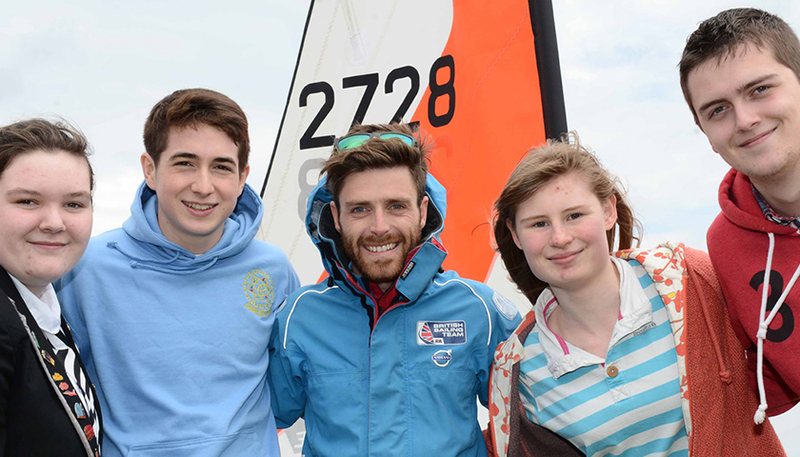 There’s news of a terrific new partnership between Topper and the Andrew Simpson Sailing Centre (ASSC) in Weymouth whereby the Centre becomes a Topper demonstration hub, supplying 20 boats from across the Topper range for the Centre to use to help get more young people on the water. So, head for Stand B50 and especially look out for the chance to enter a fabulous Prize Draw for up to four people (a family of four or four adults) to enjoy a very special Cowes Week Experience Day at the world’s most famous sailing regatta including a RIB ride, a meet & greet photo opportunity with some of the Foundation’s Ambassadors, (some of the best-known names in sailing), a full hospitality package including event merchandise, food, drink and transport costs to/from Cowes. Underpinning much of this activity is the FUNdraising element with the emphasis on FUN as well as fundraising! 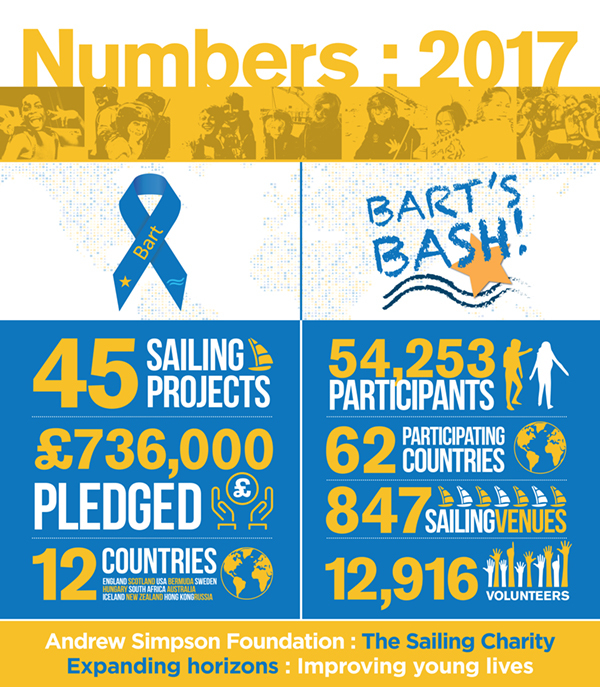 In addition to important opportunities such as auctions and raffles at special dinners and those all-important personal donations and collection boxes, this year’s main fundraising and awareness platforms for the Andrew Simpson Sailing Foundation are Cowes Week (29 July – 5 August) as the regatta’s Official Charity, and through Bart’s Bash, the world’s largest sailing event (16-17 September). The 2017 Bart’s Bash venue registration will be LIVE from the opening of the Show on March 4th.